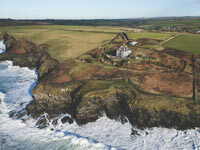 If you’re after some serious luxury, check out our spectacular eco-house Lowen. 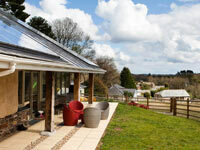 It’s super-stylish, featuring loads of room and all the mod cons – including a private hot tub. 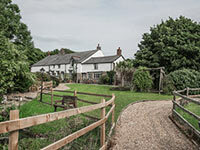 If you’ve got a bigger group, take a look at our 17th century Farmhouse, which sleeps 12. Packed full of character, it’s certainly got the wow factor. Once you arrive at Bosinver, you’ve got a choice of exploring the area or relaxing at your cottage and letting the fun come to you. There’s so much to choose from that you might not find a weekend’s long enough. From sun-soaked beach boltholes to tucked-away country cottages, uber-chic apartments to fabulous farmhouses, we have uncovered some seriously special places to stay. And with those romantic and beyond-luxury added extras – such as a hot tub or a bath for two, they are perfect for a honeymoon wedding accommodation or an incredibly special hen weekend experience. 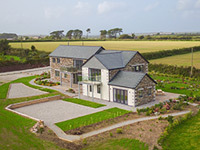 At Cornish Horizons we are justifiably proud of where we live and we're keen to share our enthusiasm with all of our visitors many of whom return year on year and have become great friends. Our family-run company has been operating as an independent family business in the south west since 1991, priding ourselves on providing the very best customer service and holiday experience. Our Cornwall office is based in the lovely harbour town of Padstow, where we have a small dedicated team, full of laughter and good will. Cornwall is becoming a hotspot for weddings and mini-moons and we would be honoured and excited to be a part of your special day. Take some of the pressure off of yourself and let us do the leg work – so that you can concentrate on other important elements of your big day safe in the knowledge you have a perfect wedding HQ waiting for you. 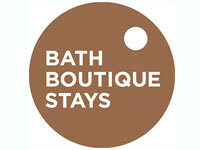 Bath Boutique Stays is the premier provider of self catering accommodation for your sophisticated Bath hen weekend. 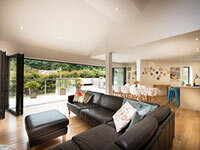 All of our accommodation is furnished in a contemporary boutique style. From apartments to penthouses, or a whole Georgian hen house in central Bath, all of our properties are just a short walk to the Thermae Bath Spa and all of Bath’s shops, restaurants and salubrious cocktail bars and lounges. 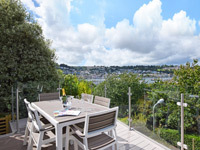 Blueriver Cottages have a fantastic range of self-catering holiday homes situated in South Devon, with a wide variety of properties to suit everyone, including our luxury collection and romantic breaks for couples. We have an expansive portfolio of over 200 properties, from charming cottages to luxurious apartments, located all over the fabulous region, many of which are close to wedding venues and would make perfect wedding base camps. 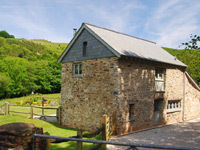 Marsdens Devon Cottages offer a huge selection of holiday cottages across Devon and we pride ourselves on having something for everyone. In terms of weddings, we have perfect properties across the county for mini-moons or larger properties that would be the perfect base camp for family and friends on your special day. With 45-years of experience, we know how to hand-pick the very best cottages to rent in Devon so you can be sure of the perfect Devon wedding or holiday experience. The Fernery is a bespoke four bedroom feature property showcasing contemporary style and design within easy reach of the famous Tunnels Beaches and many other stunning wedding venues. 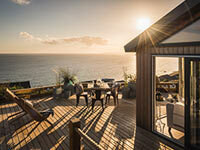 This stunning, eco friendly holiday home is set in the perfect location to absorb the tranquility yet within easy reach of North Devon's outstanding coastline, the UK's no 1 beach Woolacombe and beautiful Exmoor countryside. Luxury is highlighted throughout The Fernery from the internal design to the hot tub set amongst the tiered decking and garden area. Personal touches throughout this holiday rental property create a beautiful 'Home from Home' ambience.